Seasonal Mountain View from this bungalow style home! Located in the heart of Twin Mt., This cottage is tucked away in the Harmony Hill neighborhood. Access to the house is up a shared, paved driveway. You enter into a welcoming, tongue and groove pine, enclosed porch for that &apos;quintessential cottage&apos; feel. The perfect way to start or end your day, sitting here with beverage of choice in hand. 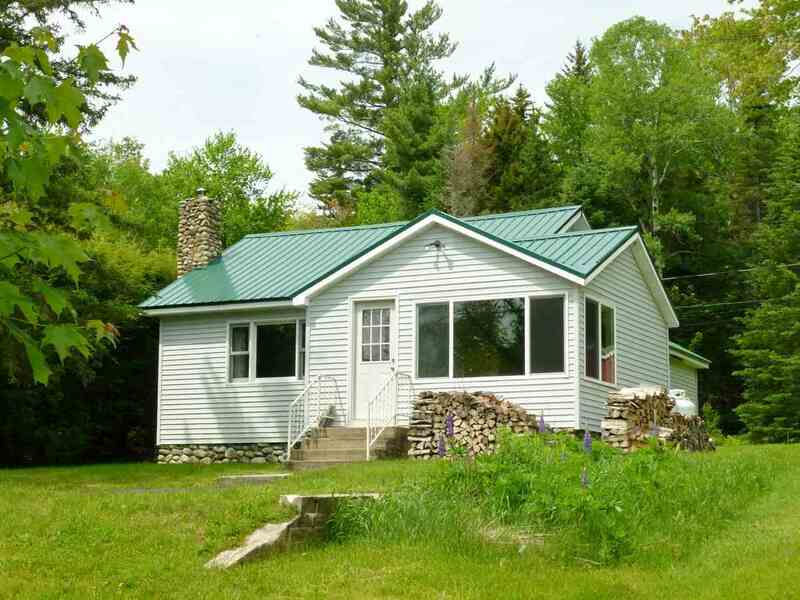 Set back from the town maintained road and perched on the hill, this 2 bedroom cottage offers wood floors, wood stove insert in a craftsman style, rock fireplace for &apos;oh so cozy&apos; evenings. In need of updates but your &apos;sweat equity&apos; will not go to waste in this special setting. Use as a primary home, mountain &apos;hide away&apos; or fabulous rental. So very convenient to everything the White Mountains has to offer. Located just off Route 302 and less than 15 minutes to Crawford Notch, Mt Washington Hotel and Bretton Wood Ski Area. Hike, bike, ski, snowshoe, snowmobile, fish, swim to your hearts content.